This new body of work, the artist's most ambitious to date, propels Arad into previously unexplored sculptural dimension. In a departure both in scale and material sophistication, the artist uses his signature vocabulary of volumetric forms to unexpected and mesmerizing visual effect. 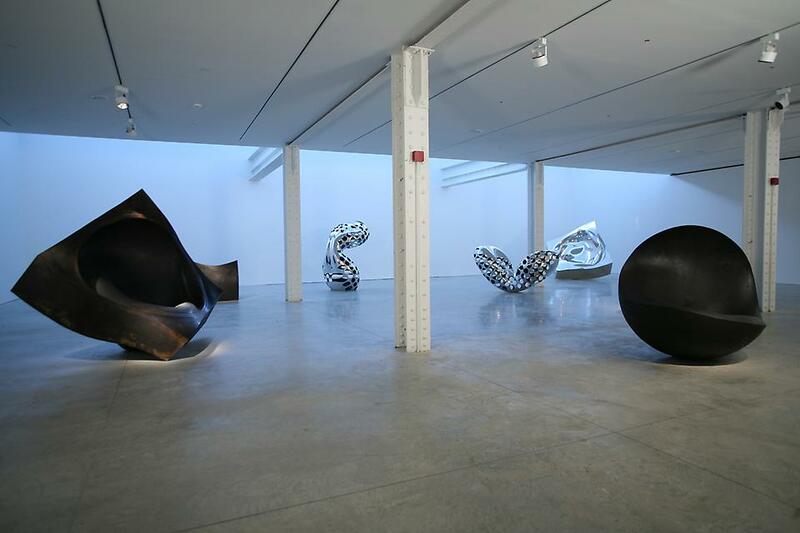 Ron Arad has commanded a unique and prolific role in the art, architectural, and design spheres for 30 years. His ever-evolving body of work reflects Arad's ability to innovate with cutting-edge technology, while perfecting the ideals and techniques of hands-on craftsmanship. With this inspiration, he continues to provoke the proscribed limits of his materials by giving formal expression to his seemingly unbuildable ideas. The artist continues to interpret and engineer the values of sculpture and seating. The new pieces shift, unravel, and tempt balance, posing challenging visual and material polemics. In Afterthought, a monumental mirror-polished aluminum quadrangle is torqued and cantilevered, while supporting a recessed seating cavity that morphs or disappears from varying standpoints. With melding reflective surfaces, the piece captures, holds and alters perceptions of light and movement in constant dynamic flow. 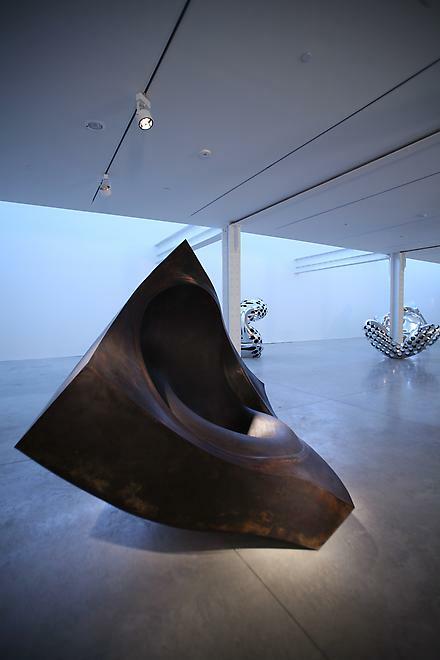 With Southern Hemisphere, a massive, upright arc of patinated steel is weighted so that at rest it stands upright. Bearing a person's weight, the piece may twist and rock, rendering it both stable and precarious. The scope of Arad's career to date will be given full exposure in a major retrospective opening at the Centre Georges Pompidou in Paris on November 18th, 2008, subsequently traveling to The Museum of Modern Art in NY in June 2009 and The Stedelijk Museum in Amsterdam in 2010. 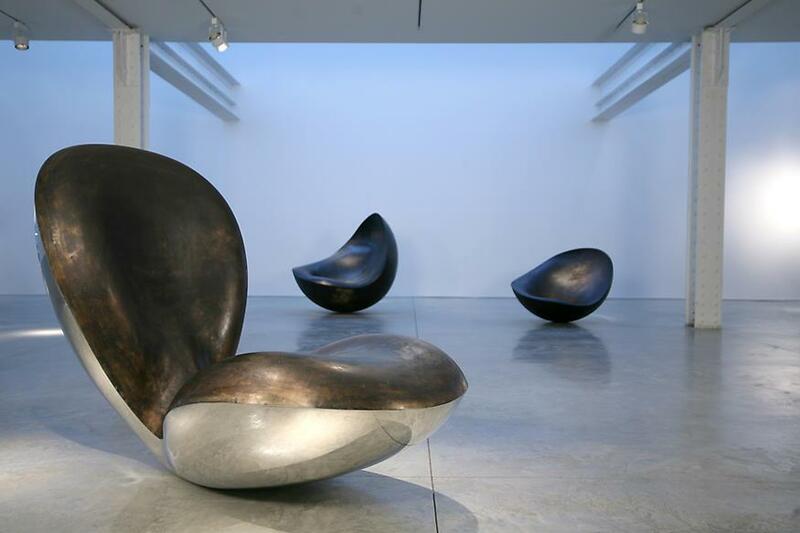 A group of important related works by Arad will be shown in a public exhibition at The Lever House in NY starting early December 2008. Arad's work is widely recognized and collected among private collectors and major institutions worldwide. In America, museums that have acquired his work include the High Museum, Atlanta; The Metropolitan Museum of Art, New York; The Museum of Fine Arts, Boston; The Museum of Fine Arts, Houston; the Museum of Arts and Design, New York; the Carnegie Museum of Art, Pittsburgh; The St. Louis Museum of Fine Art; The San Francisco Museum of Modern Art. In Europe, the Vitra Museum in Weil am Rhein, Germany; Centre Georges Pompidou, Paris; Fond National d'Art Contemporain, Paris; The Victoria and Albert Museum, London; Manchester Art Gallery, Manchester; Design Museum, London; Design Museum, Ghent; Triennale Collection, Milan; Stedelijk Museum of Modern Art, Amsterdam; In Asia, the Design Museum, Osaka. 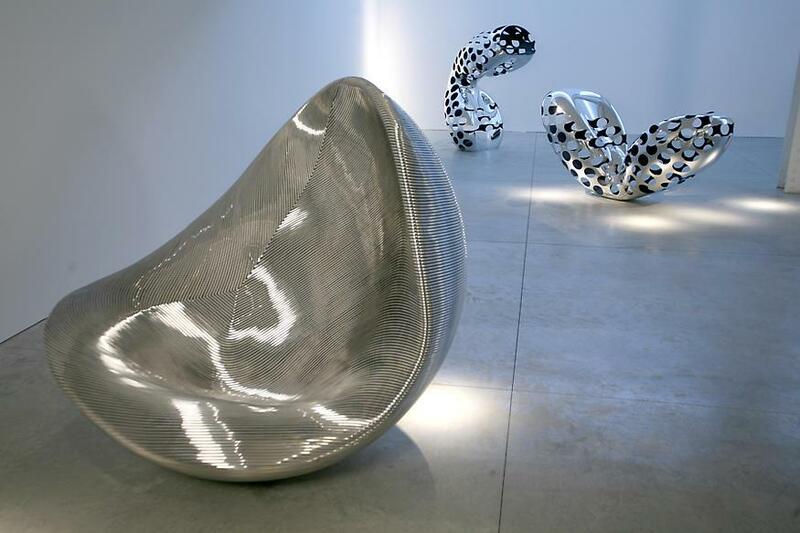 Active in London for over three decades, Ron Arad was born in Tel Aviv in 1951. After studying at the Jerusalem Academy of Art, Arad moved to London to study at the Architectural Association in 1974 under Peter Cook and Bernard Tschumi. In 1981, he established One-Off Ltd., a design studio and showroom in Covent Garden where many of his early iconic conceptual and experimental works were created including the Rover Chair and the tempered steel Bookworm. 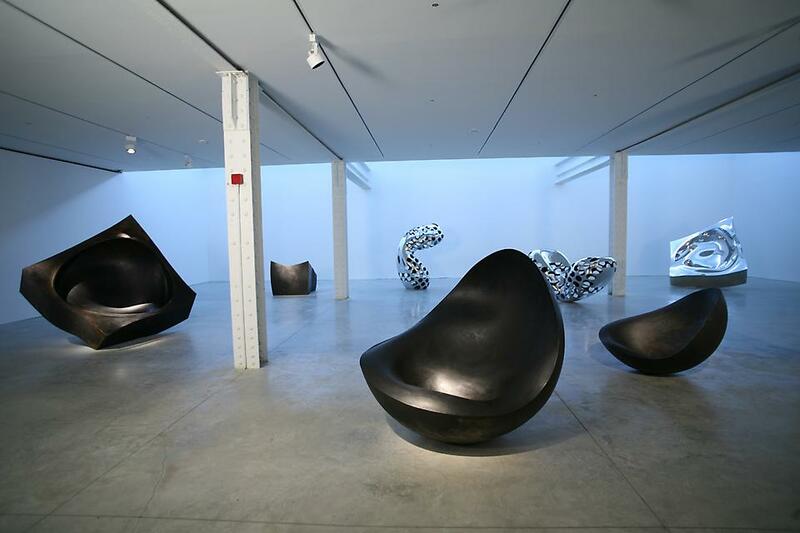 By 1989, Ron Arad Associates was formed. Arad inspires and trains new generations of designers. He was a Professor of Design at the Hochscule in Vienna from 1994 to 1997. He is currently head of the Design Products Department at the Royal College of Art in London. An innovator of unparalleled breadth in industrial design, firms worldwide have produced Arad's ground-breaking ideas, including Kartell, Vitra, Moroso, Alessi, Flos, Cappellini. His architectural projects include Yohji Yamamoto's flagship store in Tokyo; the Maserati Headquarters Showroom in Italy; the Foyer for the Opera house in Tel Aviv; the suite of dining rooms for Sheikh Saud Al-Thani's Villa in Qatar; the Selfridges Technology Hall in London. He is currently building the Holon Design Museum in Israel and private residences internationally, including projects in Russia, Morocco and France.